We did it together, but I actually liked hers better than mine. 3. Use a cotton tip to paint coloured flower dots on. 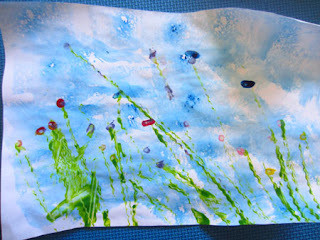 A lovely way to experiment with different ways of applying paint, and cute results.